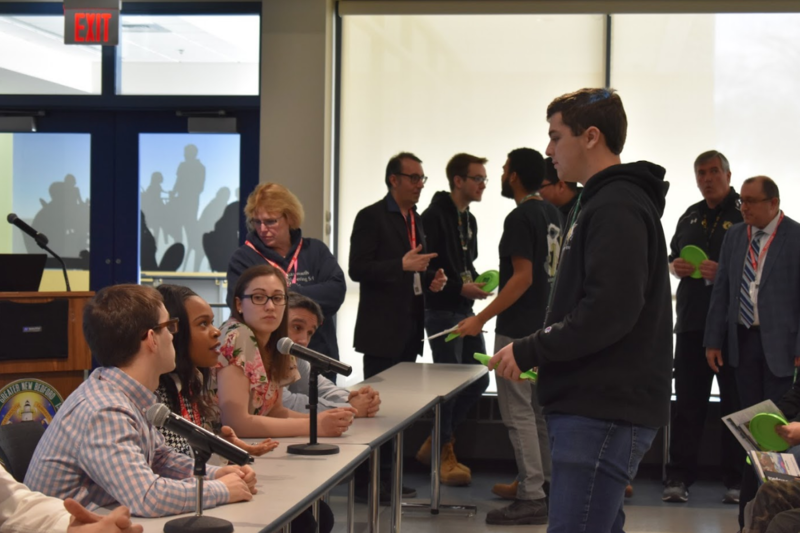 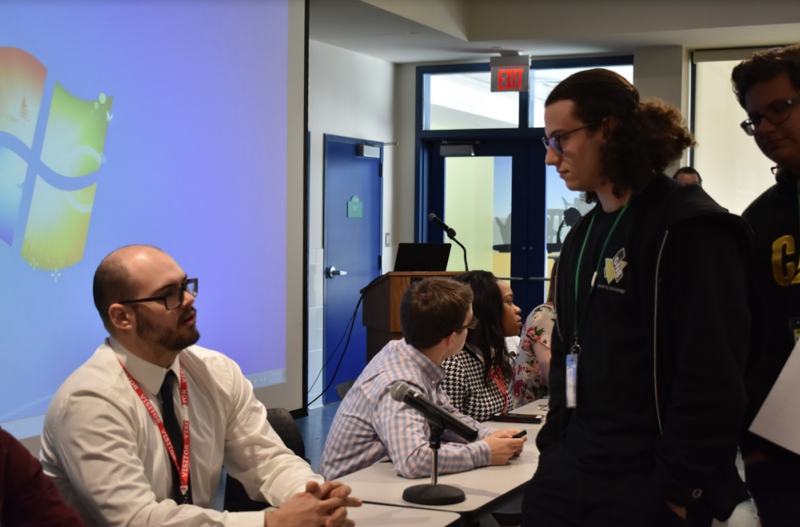 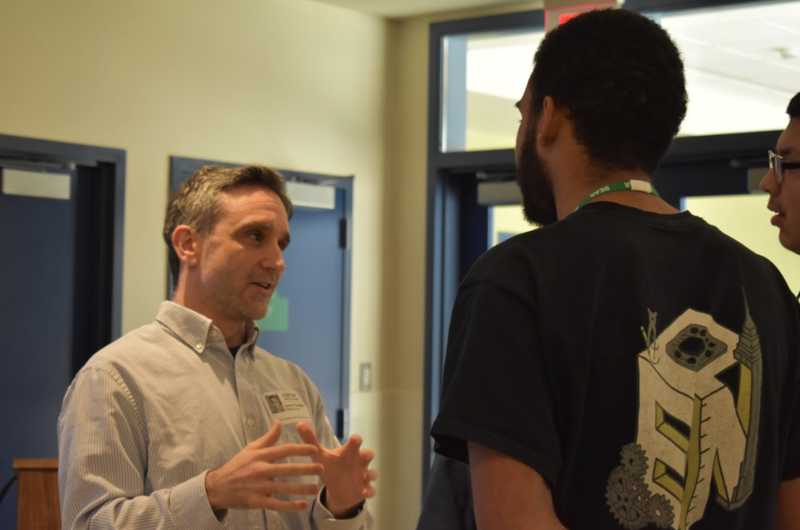 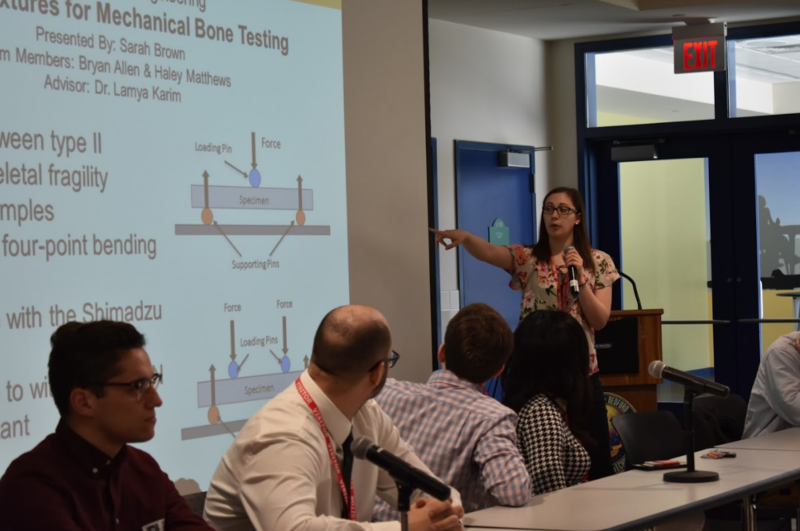 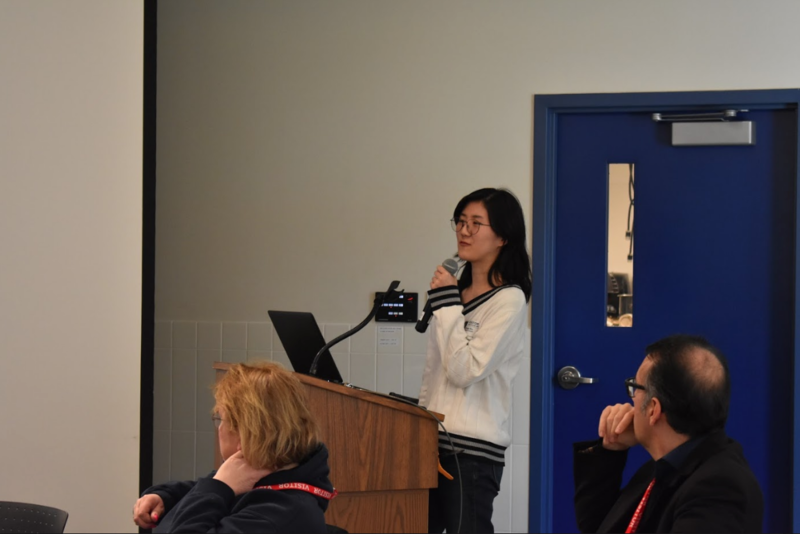 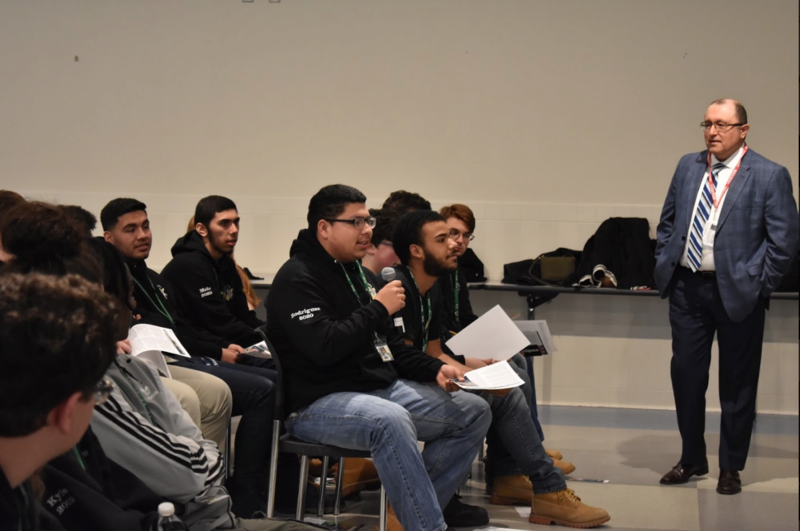 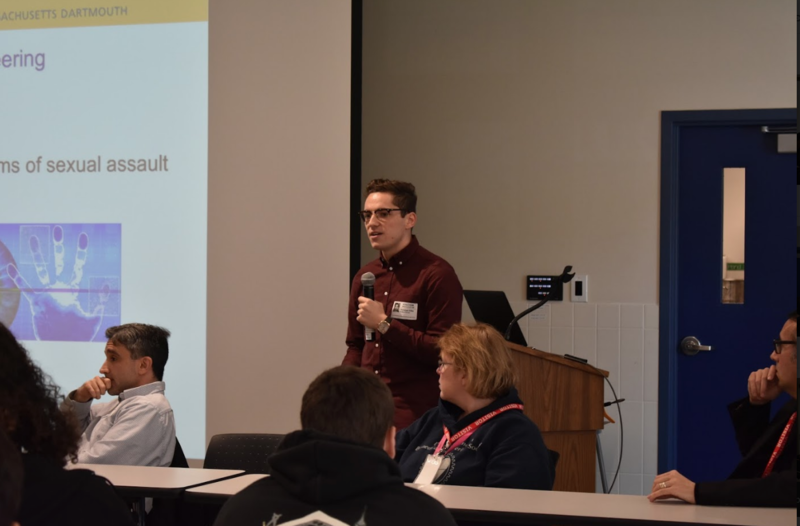 On April 2, the UMASS College of Engineering visited GNB Voc-Tech to partake with students and present the different types of engineering offered at the school. 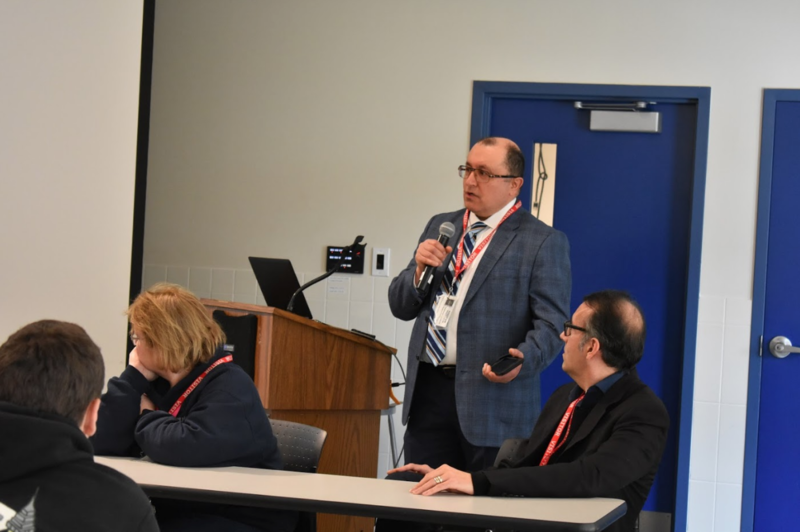 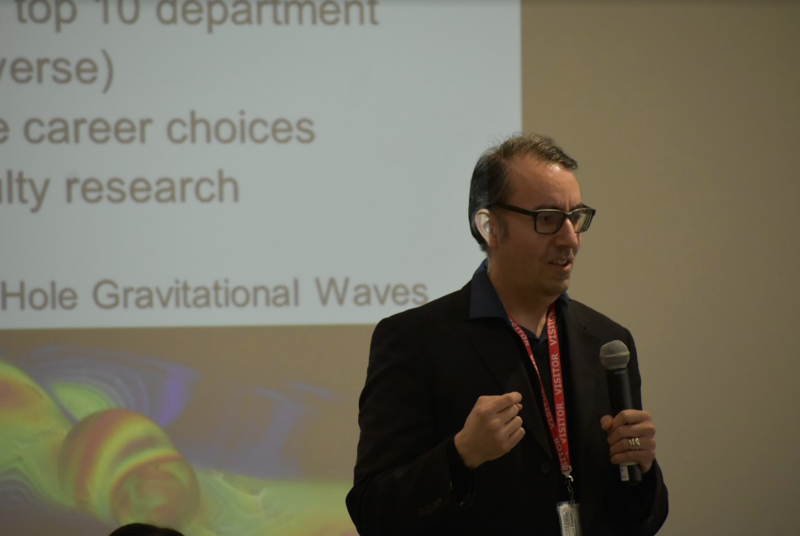 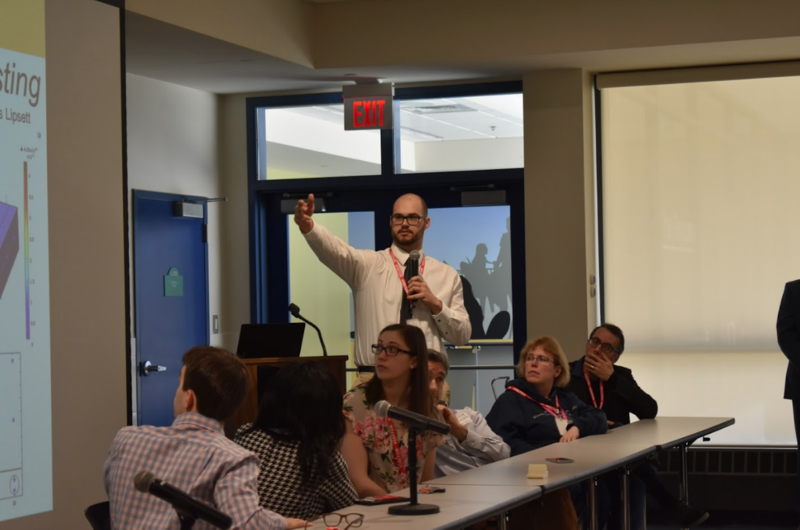 According to the UMASS Associate Dean for the College of Engineering, Raymond Laoulache, this visit was the first of its kind towards building a networking partnership between the two institutions. 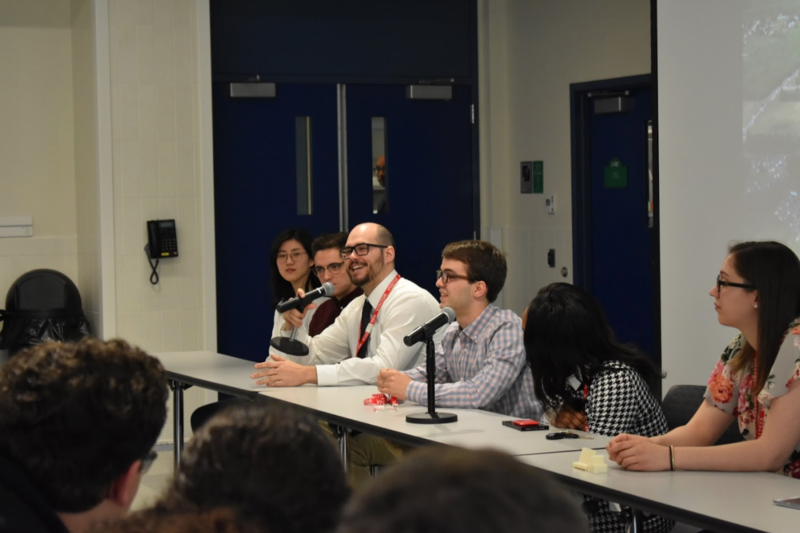 Raymond Laoulache was accompanied by three professors and six students. 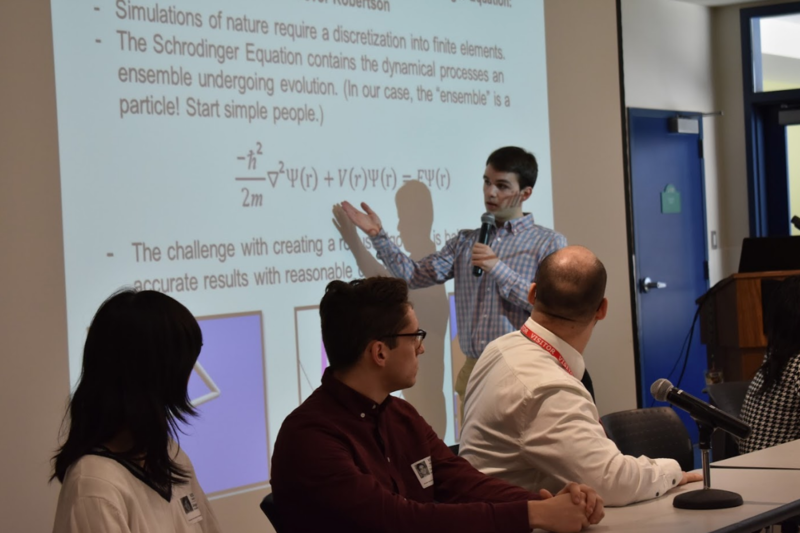 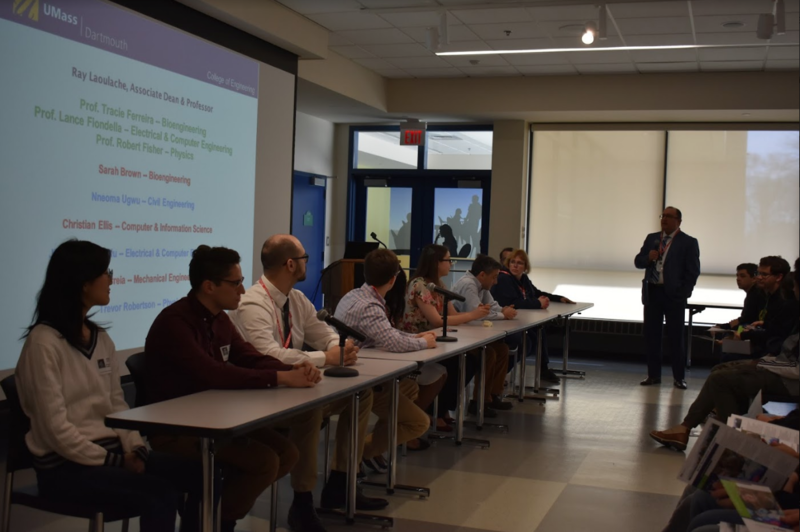 The whole event started with the students from UMASS presenting their Senior Capstone projects, continued by teachers from biotech engineering, computer engineering, and physics all sharing a brief description of their course curriculum. 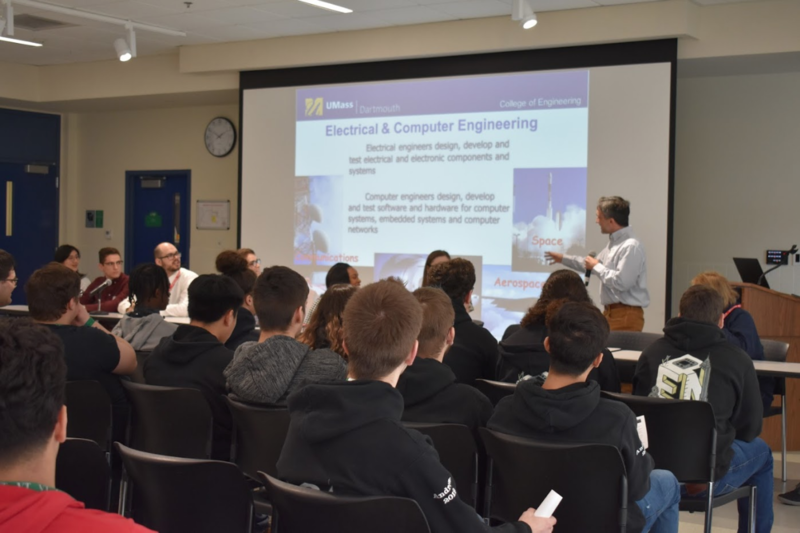 The students went over biotech engineering, computer engineering, civil engineering, electrical engineering, mechanical engineering, and physics. 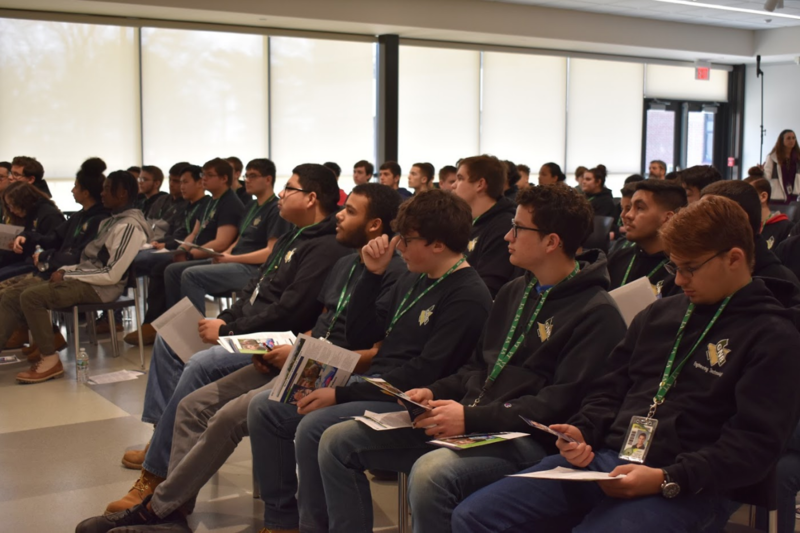 Over one hundred students from all four years of GNB’s engineering courses attended the event. 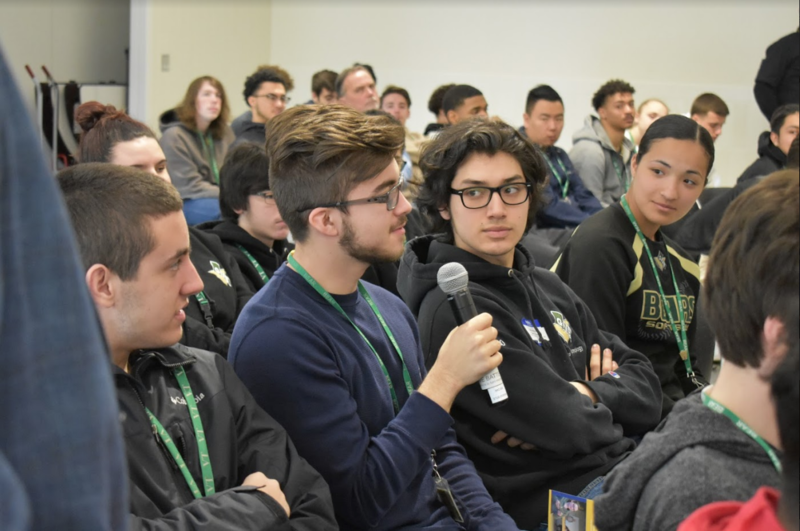 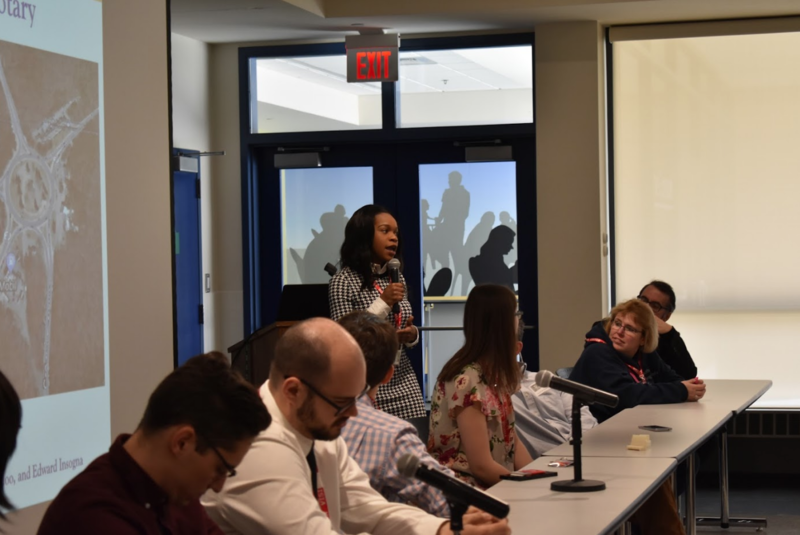 Students were given the opportunity to ask the teachers and students about topics such as a student’s path to college after graduating high school, college life, ext.